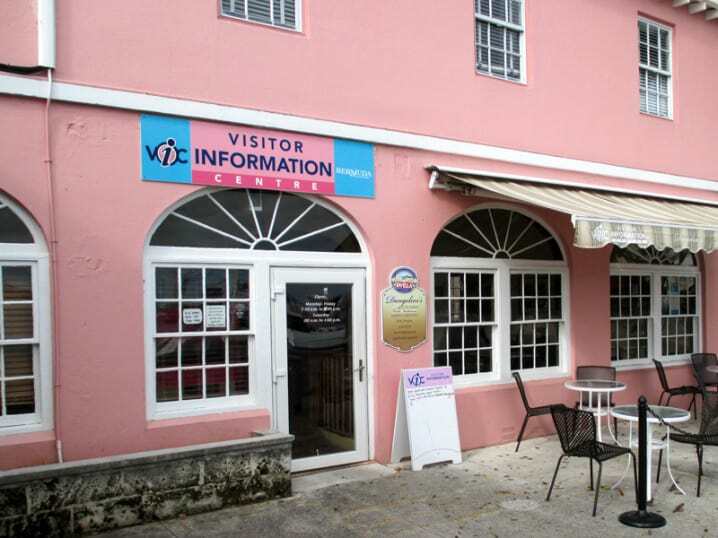 The Hamilton Visitor Information Centre (VIC) is one of three permanently staffed tourist information centres in Bermuda. It’s open Monday through Saturday from 9am to 4pm. It’s a good place to pick up maps, brochures, event guides, bus and ferry timetables, and activity schedules. Publications available include the official guides from the Department of Tourism (Bermuda Handy Reference Map, Winter Rendezvous Activities guide, Sizzling Summer activity guide etc.) 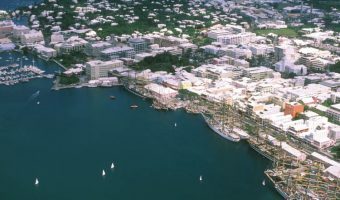 plus those produced by the Bermuda Hotel Association (guides to the town of St George, Hamilton, Royal Naval Dockyard, Dining & Nightlife etc.). In the summer months the Hamilton Visitor Information Centre sells tickets for the Reef Explorer, a glass bottom boat that operates from the adjacent wharf. Tours available include a 2-hour trip to the reefs and a shipwreck and a 3-hour trip that also includes a visit to a secluded cove for snorkelling. Hamilton VIC also sells postcards (you can post them at the Perot Post Office just a short walk away) plus TeleBermuda International (TBI) phone cards and Wi-Fi coupons (can be used in the Wi-Fi zones in Hamilton, St George, and Royal Naval Dockyard). They also stock large map of Bermuda if you need more detail than shown on the Bermuda Handy Reference Map. Visitors to the island commonly want to know what is the most economical way to get around the island (tickets, tokens, and passes are available). If you need guidance, just pop into the VIC, explain your itinerary, and they’ll let you know the cheapest option. You can then make your purchase at the Hamilton Ferry Terminal right next door. Dangelini’s Café is adjacent to the VIC. You get a great start to the day with fresh brewed coffee, muffins and breakfast sandwiches or refuel with sandwiches, wraps and lattes. The staff at the VIC have over two decades in the Bermuda hospitality information business. If they don’t have the answer to your question, they know someone who does. Their mission is to provide every visitor to Bermuda with the information and insight they need to have the best vacation experience possible. Contact them if you have any questions, need assistance in planning your stay or simply want a second opinion before making your vacation decisions. Visit their Facebook page for up to date activities and events, or to send them a message. Map showing location of Hamilton Visitor Information Centre.